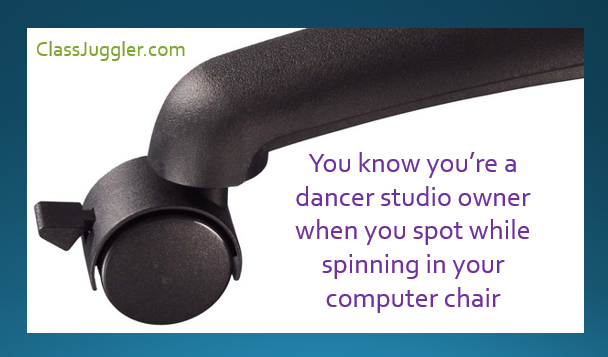 For help with managing your dance studio, take a look at ClassJuggler Dance. 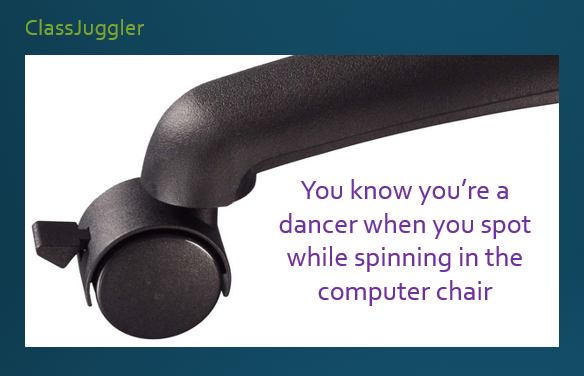 This entry was posted in ClassJuggler Dance, Motivation and tagged dancer, dancers, dancing, Michael Jackson on November 23, 2014 by classjuggler. Take advantage of our webinars! In today’s busy world, you may feel too busy to take the time to learn the things that can make your life or job easier – even though you know it will ultimately save you more time. But one of the easiest ways to educate yourself and your staff to get the most out of your ClassJuggler account is by attending our twice-monthly Webinars. These sessions, usually just 30 to 60 minutes, are free and cover all sorts of features and capabilities in our software that can make your life easier. It’s simple to participate, and even fun! You’ll need a computer or web-enabled mobile to device to see what we’re demonstrating, and you’ll need a phone to call in for the audio and to participate with questions. Check out our Webinar schedule in each month’s newsletter. We do our best to choose Webinar topics that are important and useful for our clients, but it’s really you we would like to hear from. Suggest topics you’d like us to cover at our education address: education@classjuggler.com. This entry was posted in Cheer ClassJuggler, ClassJuggler Dance, ClassJuggler Dojo, ClassJuggler Fitness, ClassJuggler for Franchises, ClassJuggler K-12, Customer Support, Music ClassJuggler, Product Info, Swim ClassJuggler and tagged training, webinars on November 3, 2014 by classjuggler.